Search and rescue teams on Tuesday found a blood-stained shoe, half-burnt PAN card and a wallet of one of the two pilots of the IAF's Sukhoi-30 fighter jet that crashed near the Assam-Arunachal Pradesh border last week, officials said. But there was no trace of squadron leader Devesh Pankaj and flight lieutenant Achuth Dev who were flying the Russian-made Su-30. “It has been a week since the crash. We request the authorities to deploy additional personnel and intensify search operations,” Dev’s father PV Sahadevan said. 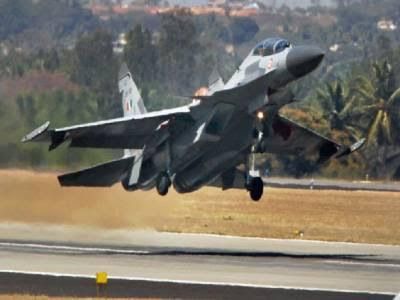 The Su-30 had taken off from the Tezpur air base, around 10.30 a.m. on a routine training mission but lost radar and radio contact with the controlling station around 11.10 a.m. near Arunachal Pradesh's Doulasang area, adjoining China.